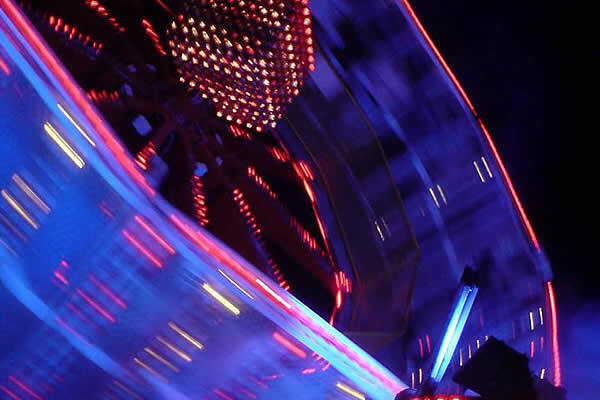 Extreme is our high-adrenaline attraction for thrill seekers which can throw you around in all directions, from looking into the sky to the floor in a heartbeat. 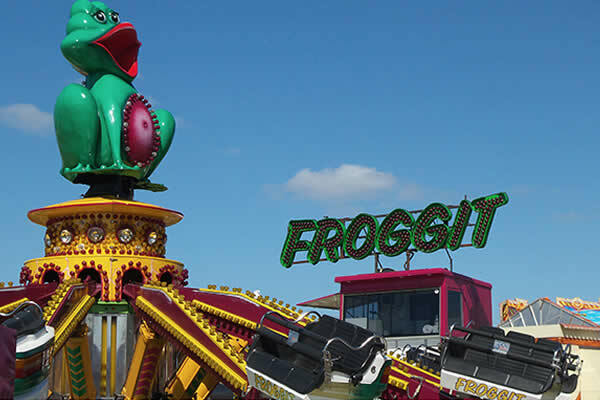 Funky Frog sits alongside the Twister as a firm favourite with the families and thrill-seekers alike. Bouncing in all directions, one moment you’re on the ground and the other high in the sky. Twister is the classic family attraction that thrills fans of all ages. 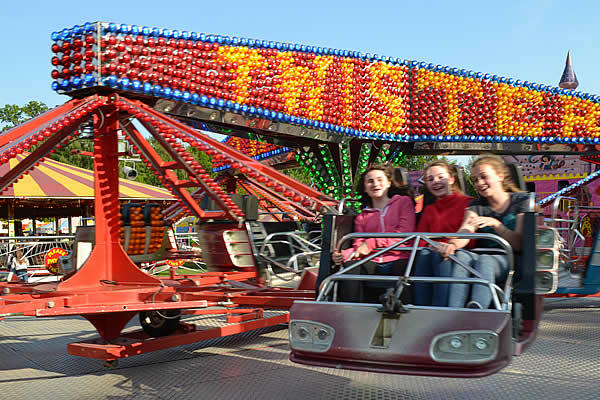 Our Twister is a spectacle to watch and to ride, running both in Forwards and Backwards. Meteor is a classic ‘Crazy Cage’ ride. 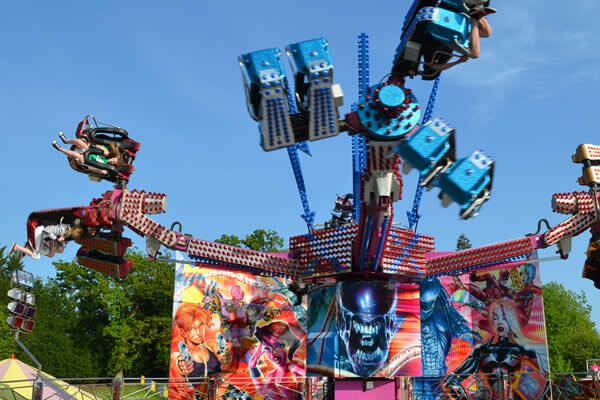 Great for both onlookers and riders, Meteor will thrill and excite with dazzling lighting and lifting to great heights. 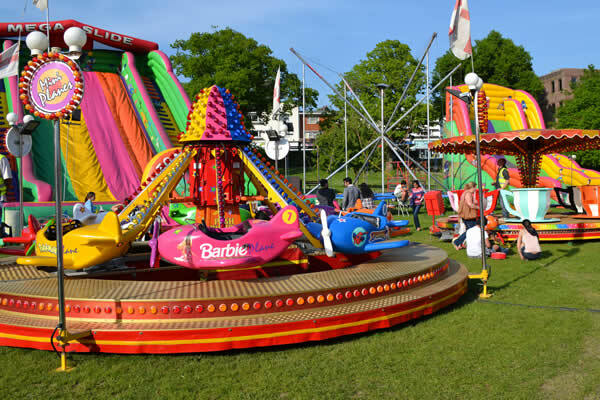 We have a wide selection of rides for our younger guests, from spinning teacups to high flying planes and jets. 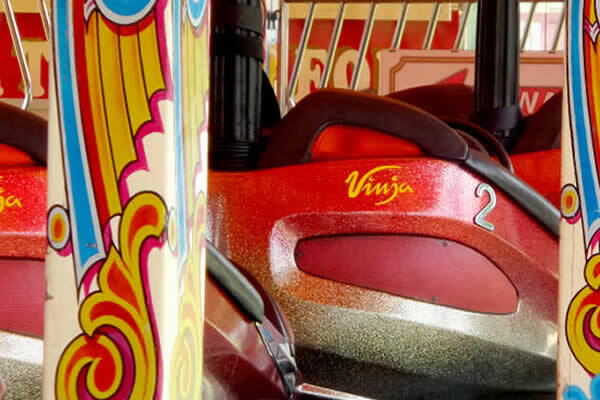 The Dodgems is our classic family attraction. With 20 cars and a large driving area this track is suitable for any type of event. 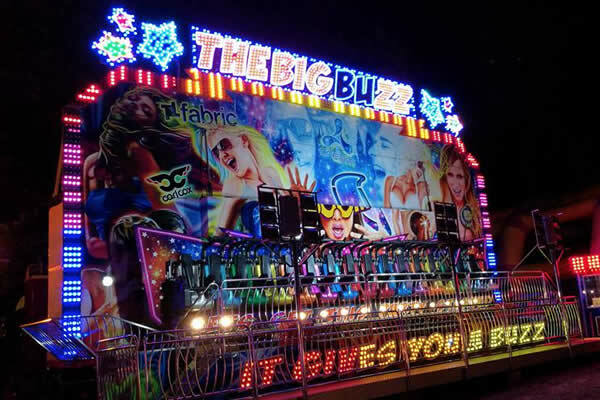 Our Waltzer is the staple of every fair it attends. 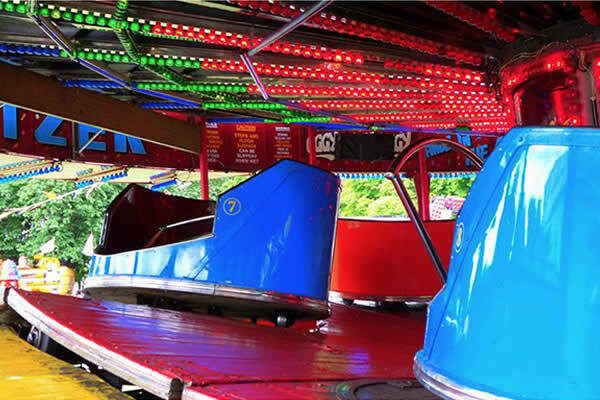 Carrying the slogan “The Pride of London”, this 1980’s built Maxwell waltzer is thrilling riders of all ages. A modern take on the classic Miami Trip, delighting both riders and spectactors alike. Candyfloss anyone? 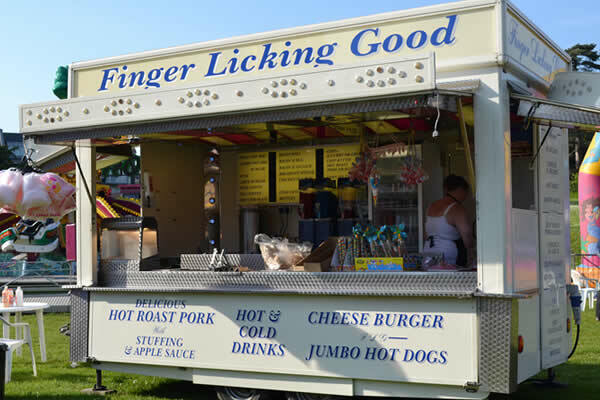 A funfair would not be complete without a wide selection of high quality food and drink. Members of the Showman's Guild of Great Britain, London & Home Counties Section.